Fr. Caroli B. Shao, A.J. 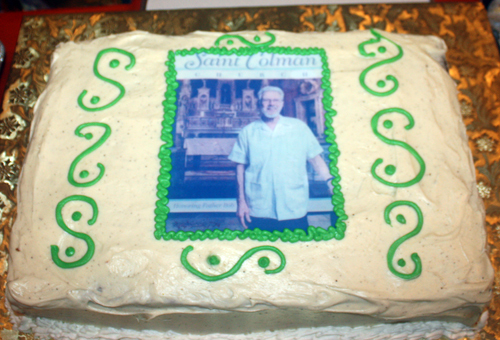 Pastor of St Colman Church in Cleveland wrote these remarks about St Colman Day and the honoring of Fr. Robert Begin. Since the first celebration in 2007 there has been a special event to be celebrated and this year in a very special way we are honoring our own long serving and now retired Pastor Fr. Bob Begin. 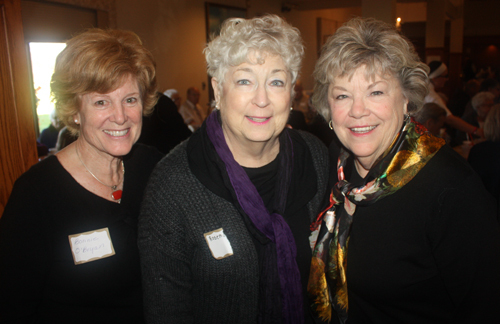 For the first St. Colman Day 2007 we honored the Sisters of the Congregation of St. Joseph (CSJ). Their impact and commitment has influenced and still influences the progress of a missionary spirit in St. Colman Church. Our St. Colman Day Honorees since then were: 2008 the priests who served at St. Colman, 2009 outstanding families of the Parish, 2010 Police, Firefighters and Emergency Responders, 2011 Veterans of the Armed Services from the Parish , 2012 Members of the Trade Unions who built the Parish, and last year, 2013, the wonderful people from our Church in the City Partner Parishes of St. Christopher, Our Lady of Help of Christians and St. Angela Merici. This year as we honor Fr. 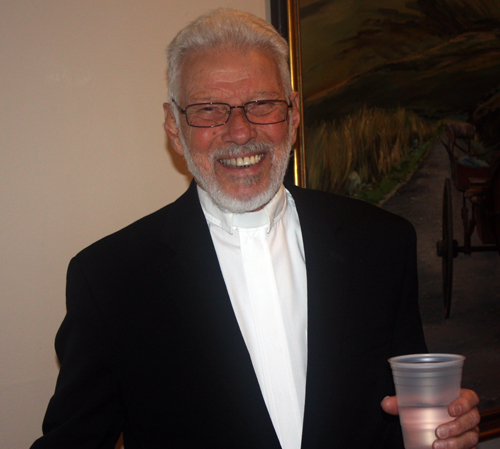 Bob, we recall his 20 years of commitment to the people of St. Colman Parish and to the entire neighborhood. During his 20 years as Sacramental Minister and Pastor, we saw St. Colman Parish growing tremendously in all aspects of parish life: spirituality, social justice, service, education and finances. Fr. Bob never sat back to watch what would happen. He became a key player in the field, along with all of the parishioners who work so hard to ensure St. Colman's future. Thank you, Fr. 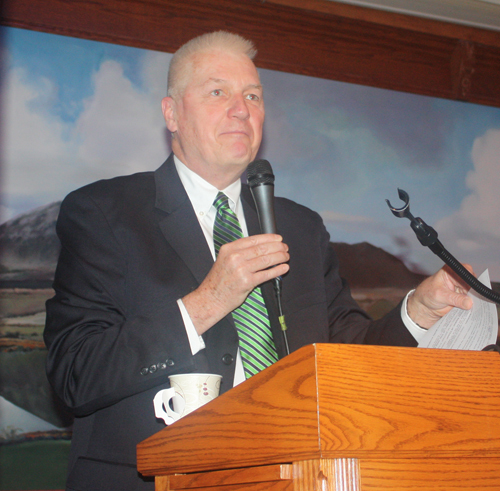 Bob, for your gift of service to the people of St. Colman's, the neighborhood and the City of Cleveland. The members of the Apostles of Jesus especially extend our sincere gratitude to you for your love, care and concern for us. All the members of the family of the Apostles of Jesus who were mentored by you have a lot to share! We thank you for being a brother and a friend to all of us. I am quite sure that Fr. Ben and I are serving at St. Colman today as your successors because of your love and support for the Apostles of Jesus family. 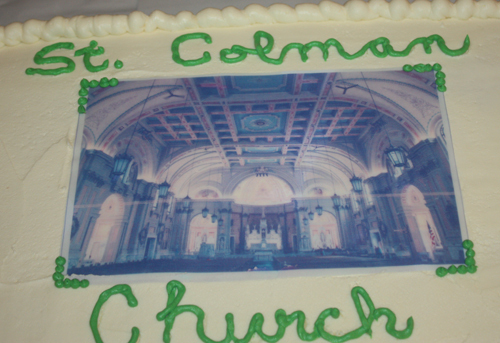 Pray for us, that we may be able to carry on your legacy and vision to further the future of St. Colman Parish. Dear people of St. Colman, be assured that Fr. 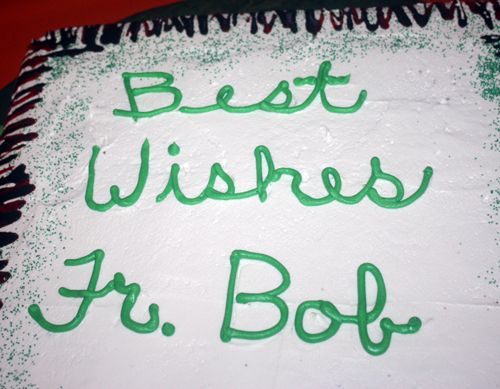 Bob remains a part of St. Colman Parish and we shall make sure that we do all we can to keep him! Fr. Bob, you are more than welcome to continue sharing your time and talents with the people of St. Colman Parish and the neighborhood. I want you to know that we all love you and look forward to continuing working with you in the realization of our mission. As we honor and congratulate Fr. 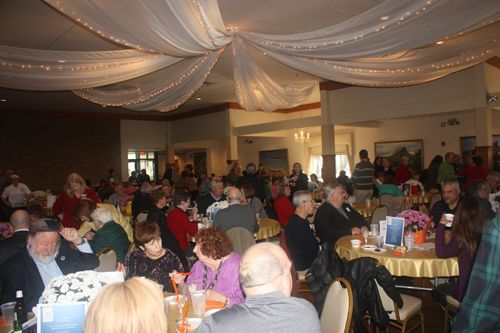 Bob this year I should not forget to extend my sincere gratitude to all of the members of the St. Colman Day Committee and its co-chairs, Lorraine Klaus and Debbie O'Boyle, for this magnificent celebration! Thank you, also, to the Parish Council, the staff, and all of our Parish ministry volunteers. You should know that it was because of your commitment and active participation that Fr. Bob was successful in leading St. Colman Parish. Your leadership and collaboration is greatly needed as it is because of your leadership and commitment that St. Colman will continue to be the generous and benevolent force in the neighborhood that we have been during our entire history and especially, during Fr. Bob's tenure. May the good Lord bless Fr. Bob abundantly as he continues ministering in his vineyard. 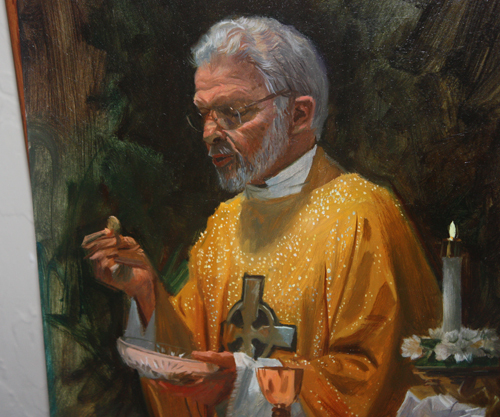 May the same blessings be extended upon each one of us as we strive to live and put into practice the legacy of Fr. Bob Begin! 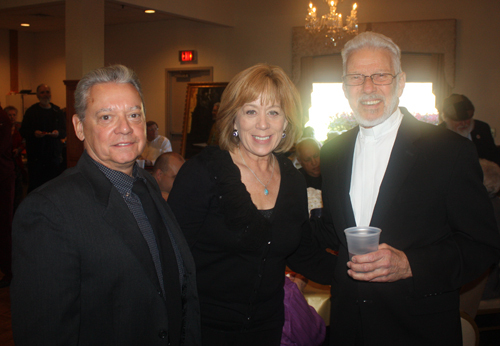 After Mass at St. Colman Church, a reception was held at the West Side Irish American Club. Congratulations Fr. Bob! The Portersharks provided entertainment at the reception. Guitar player Billy Chambers introduced the other band members before this Irish reel. Francis Quinn on fiddle, Brendan Carr on bodhran and an "import" Pat Custy on flute. In this clip, The Portersharks performed The Mary Ellen Carter which Billy Chambers called "a song of hope" which is a perfect sentiment for Fr. Bob. If you want to reach the Catholic community in Cleveland and Northeast Ohio, please contact us.